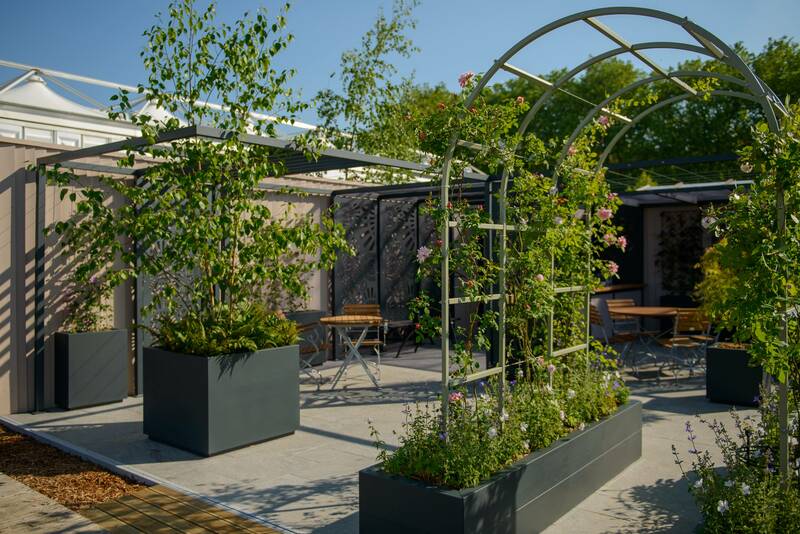 The RHS Chelsea Flower Show is the pinnacle of the gardening calendar and we were proud to be exhibiting for our 15th year. The stand was our best yet winning a coveted 5 Star Gold Tradestand Award, all the hard work really paid off! 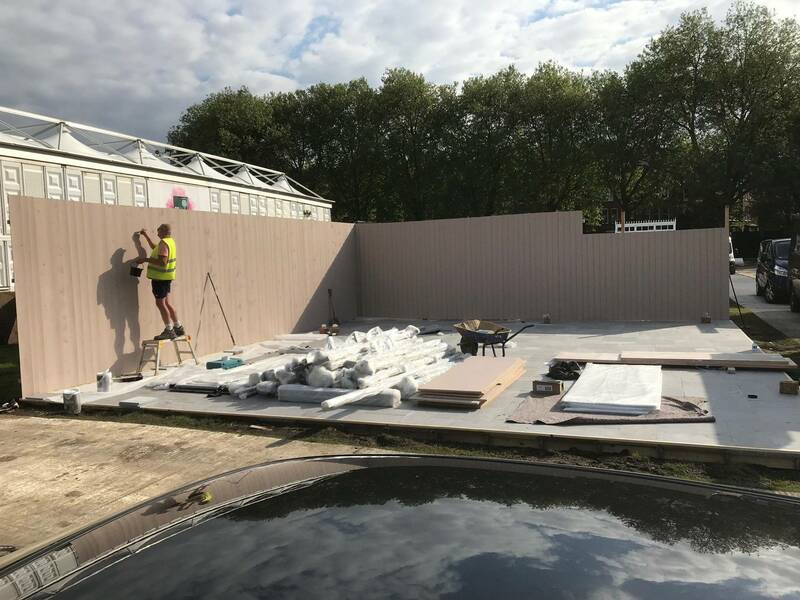 The planning for Chelsea begins almost a year ahead of the show with the majority of our staff being involved in one way or another. 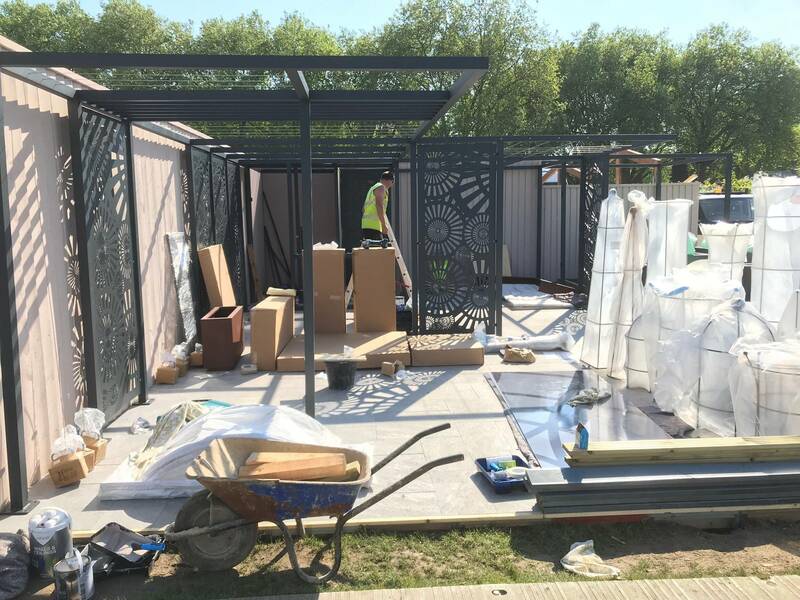 From designing the stand through to manufacturing the products the Chelsea Flower Show preparation takes a lot of hard work and effort, so it was great to achieve this fantastic 5 gold star award. 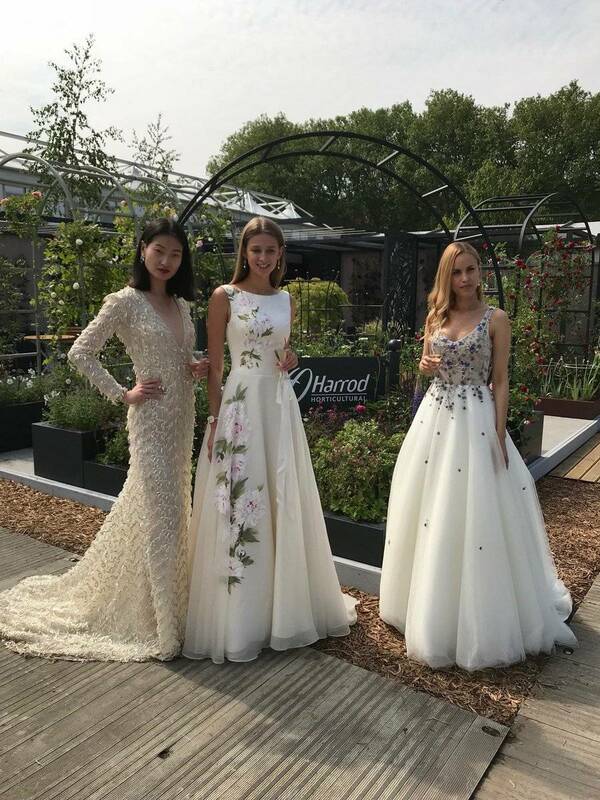 The weeks leading up to the show see the Chelsea Showground transformed from a bare field into the world's most famous Flower Show. 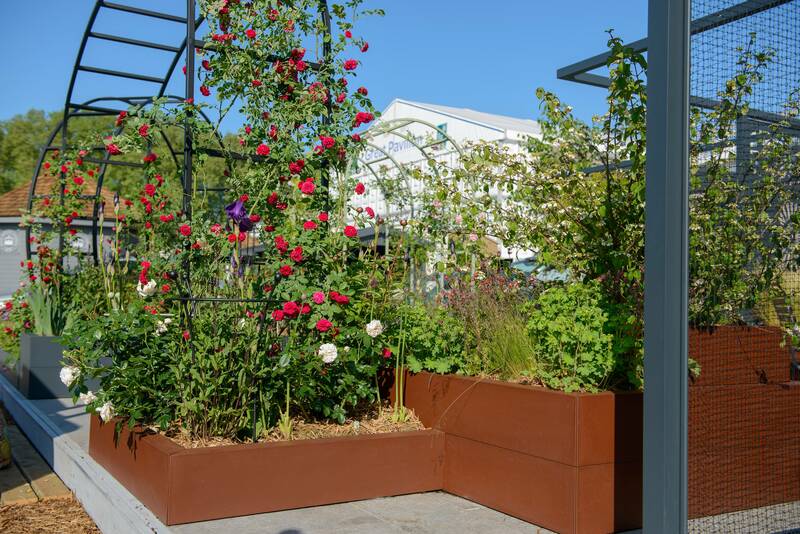 Every year it's astounding how much is achieved in a relatively short time and this year was no exception with some truly stunning show gardens on display. 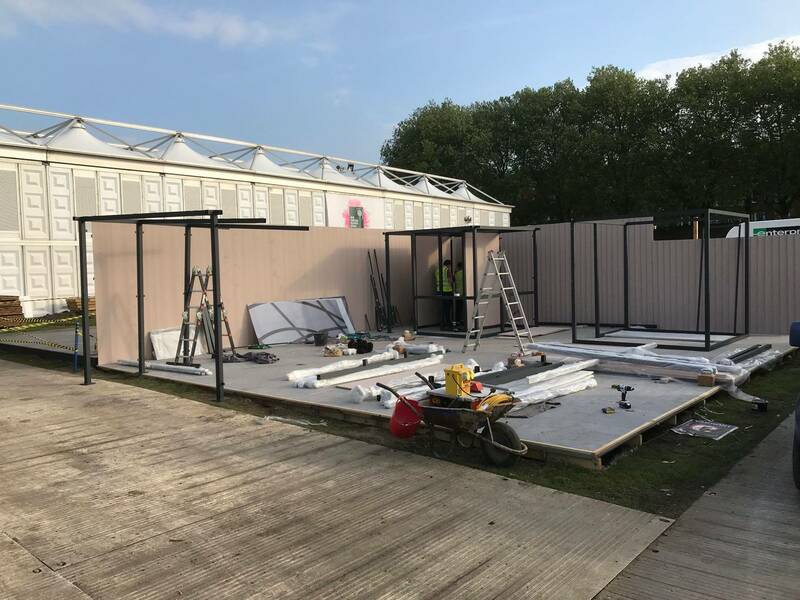 The building of the Harrod Horticultural Trade Stand started in earnest two weeks before the start of the show. 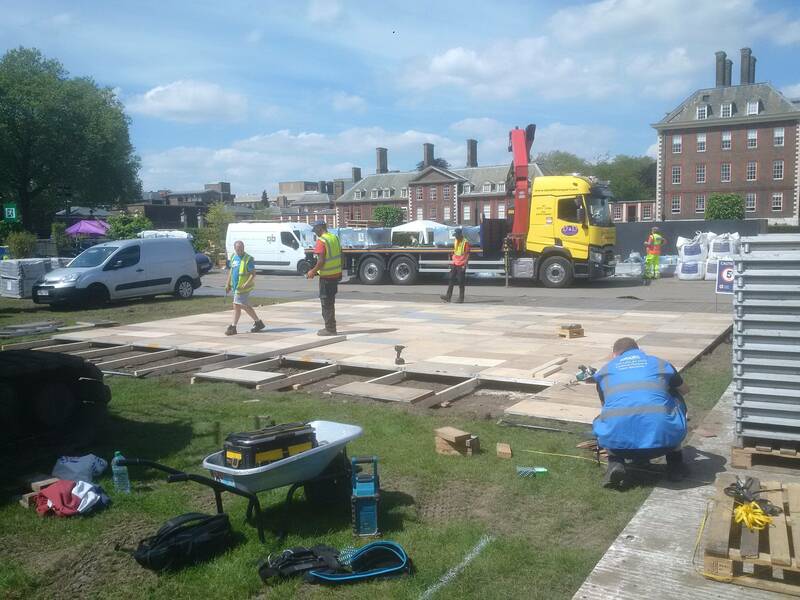 The flooring was the first stage and the beautiful paving 'Cenere' Vitipiazza supplied by the Talasey Group looked fantastic. 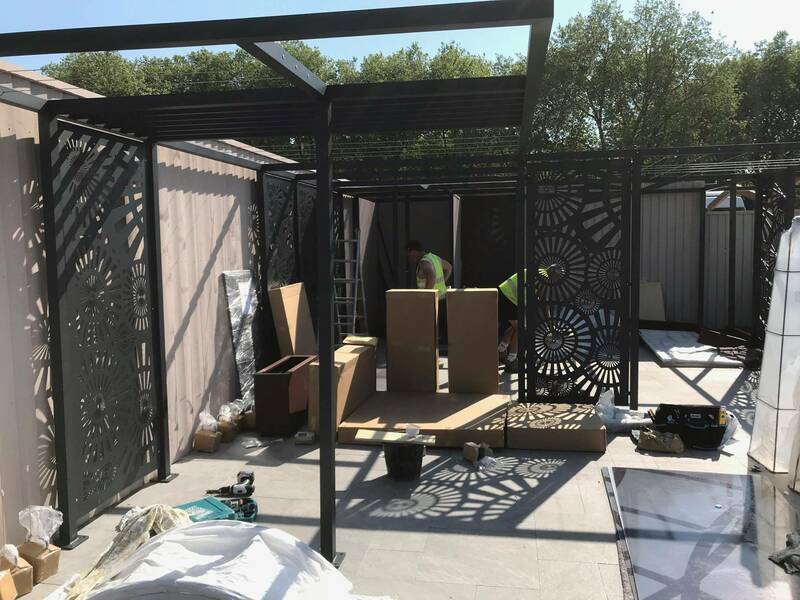 The fencing then went up which needed to be painted, so it was all hands on deck to get this finished so we could start erecting the various garden structures featuring on the stand. 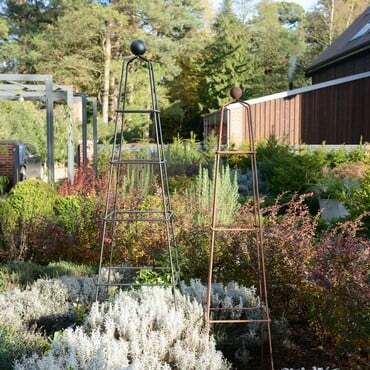 The colour scheme is always an important part of the design each year and we wanted colours that complemented the planting, paving and our products so opted for muted browns and creams to really accentuate the vibrant crimson, purple, orange, green and white planting scheme. Once the shell of the stand was in place it was time to start assembling the products. 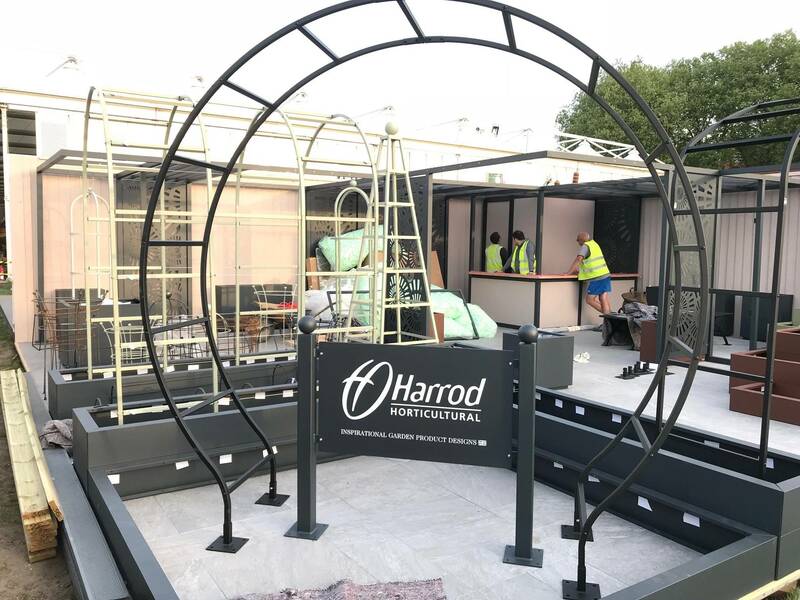 Our new Harrod Modern Pergola System, launched at the show, was the main structure to assemble, taking up a large part of the stand and showcasing the various options we can offer. 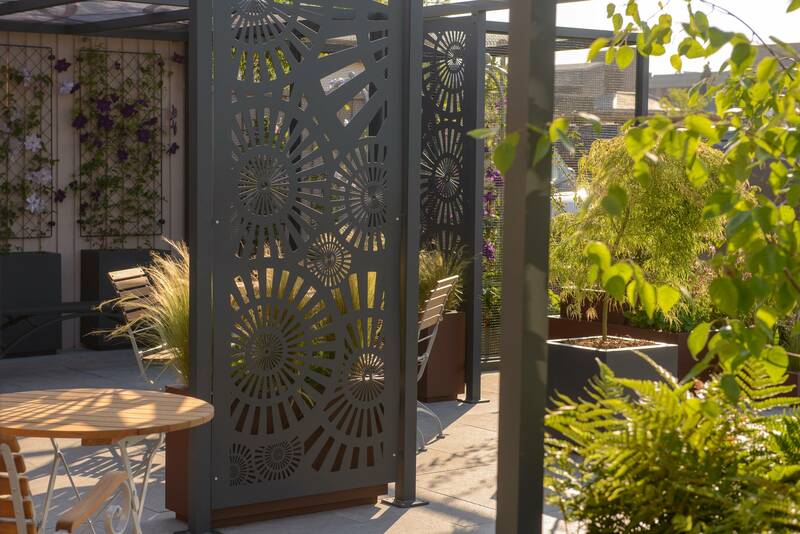 With different roofing options including louvres, wires and patterned polycarbonate along with stunning laser cut panels featured throughout the pergola, we were really pleased with how the pergola demonstrated all the various options and provided inspiration for creating a beautiful extension to the home and making the most of your outside space. 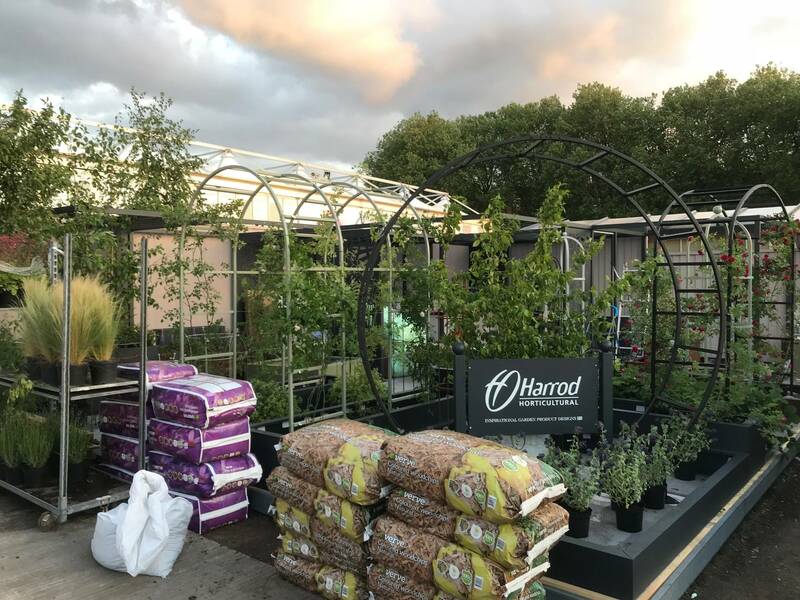 Along with the new Harrod Modern Pergola System we also had a whole range of our best selling garden structures and planters on the stand which needed to be assembled. 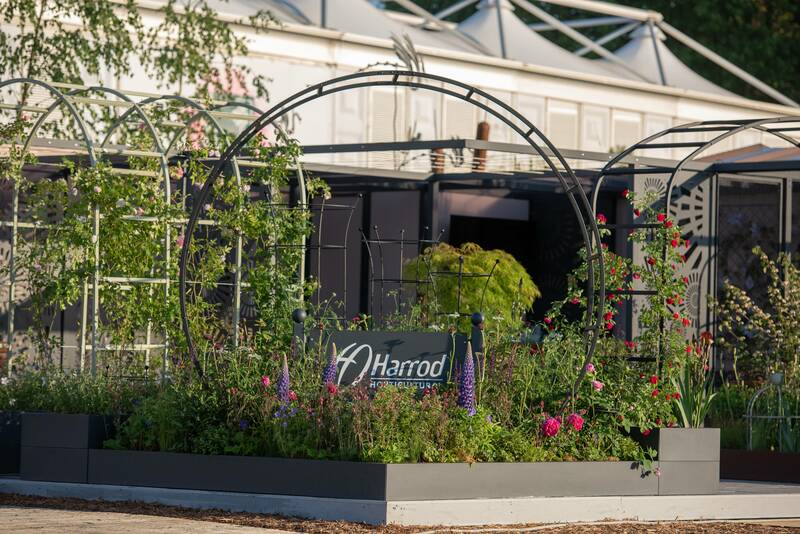 The Moon Gate Arch was featured at the front corner of the stand making a real statement framing our Harrod Horticultural sign. 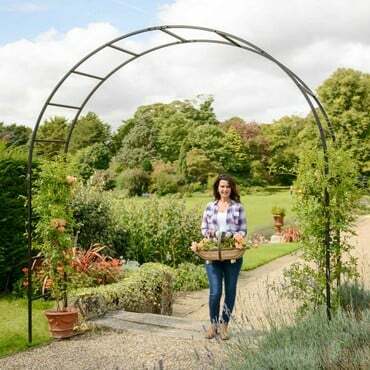 We also featured our Roman Style Linked Arches in our popular Lichen Green colour, Ellipse Garden Arch in matt black, various obelisks and plant supports, metal raised beds and our popular new Metal Planters in a range of sizes, styles and colours. 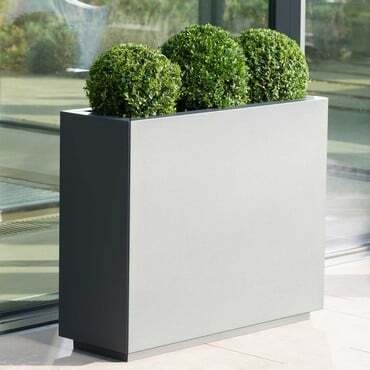 Our attractive new metal planters were featured throughout the stand with trough style planters along with square and rectangular planters in anthracite grey, heritage green and corten effect paint finishes. 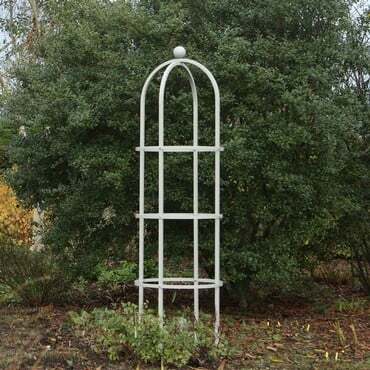 We also had a number of garden trellis panels to support climbing plants in many of the metal planters. 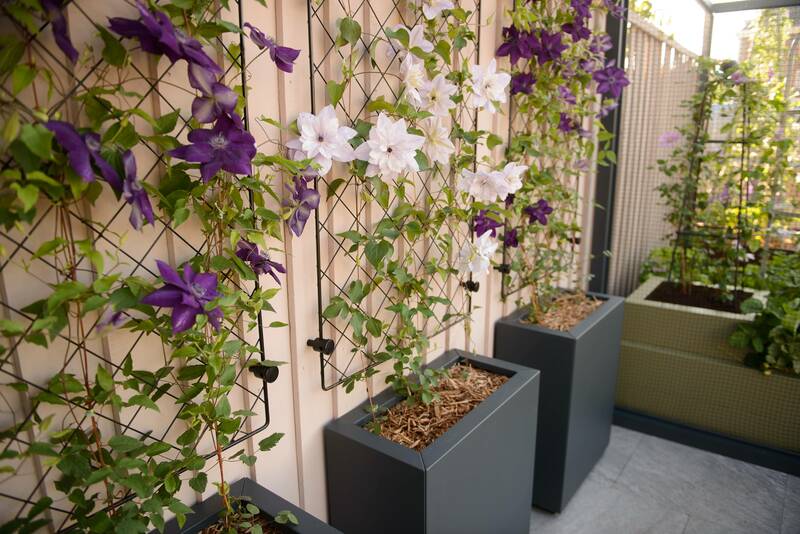 These offer a great alternative to wooden trellis, a much longer lasting and stylish alternative. 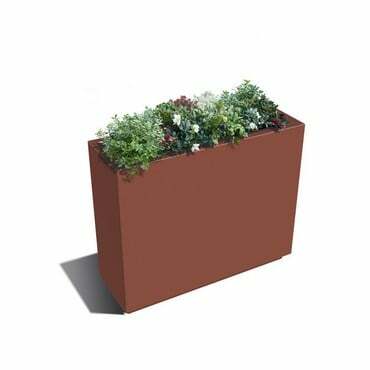 Once all the products had been assembled and positioned then the planting began. 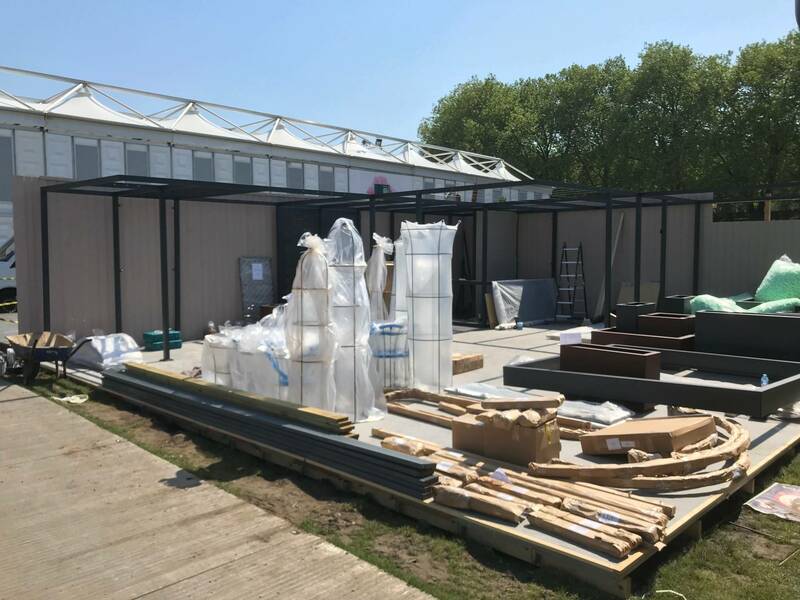 At one point it felt like we were being taken over by all the plants that arrived, but the stand soon started to take shape when the planting started. 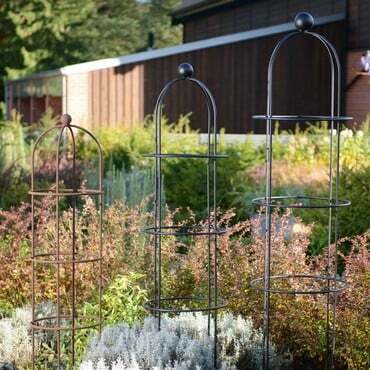 Crimson - Astrantia 'Claret', Cirsium rivulare 'Atropurpureum, Lupin 'Masterpiece', Lysimachia atropurpurea 'Beaujolais', Papaver somniferous 'Black Beauty', Peony 'Buck eye belle', Salvia 'Nachtvlinder' and Roses. 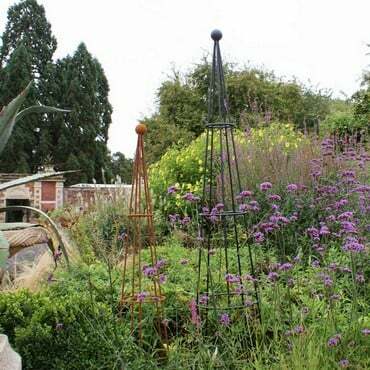 Purple - Alliums 'Purple Sensation' and 'Christophii', Geranium Johnson's Blue, Lavender 'Munstead Wood', Nepeta 'Six Hills Giant', Papaver somniferous 'Black Peony', Salvia nemorosa 'Caradonna', Roses and Clematis. Green & White - Alchemilla mollis, Ammi majus, Ammi visnaga, Anthriscus sylvestris 'Ravenswing', Dryopteris Cristata, Erigeron karvinskianus and Orlaya grandiflora. 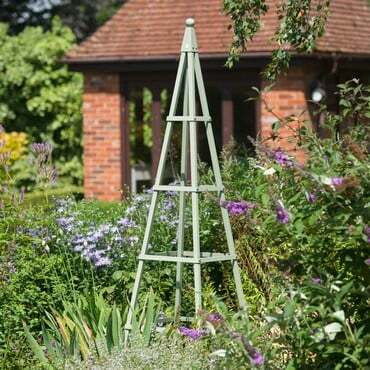 The planting took a lot of time and effort but was well worth it. 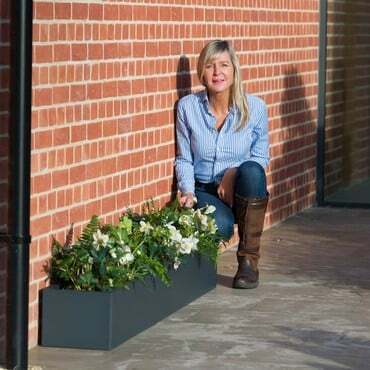 When planted up the colours really stood out against the planters, fencing and paving on the stand. 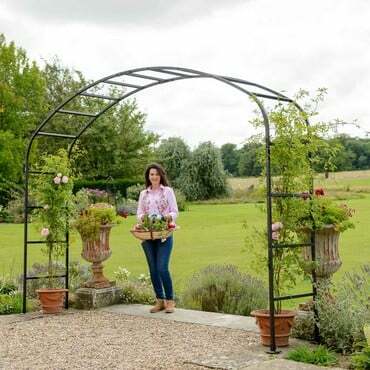 Press Day is always the first day of the show and is also when the stands and gardens are judged, so the day before always involves lots of last minute finishing touches to make sure the stand is at its best before judging. The finished stand looked superb, such a great effort from all involved. Press day is always a great day, celebrity spotting is always high on the agenda and the interest on the stand was really positive across the day. 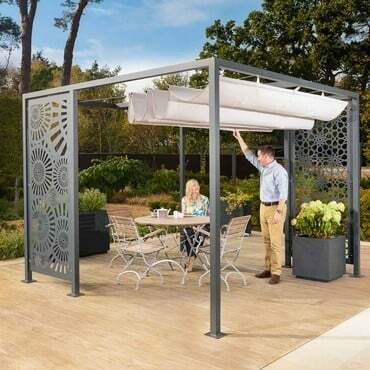 The Harrod Modern Pergola System drew lots of attention and people were interested to see how the structure can be tailored in so many ways to create your own bespoke design. The weather was great too, which is always a concern, but no rain to hamper spirits led to a fantastic day, it was just a nervous wait until the next morning to see what the stand had been awarded. 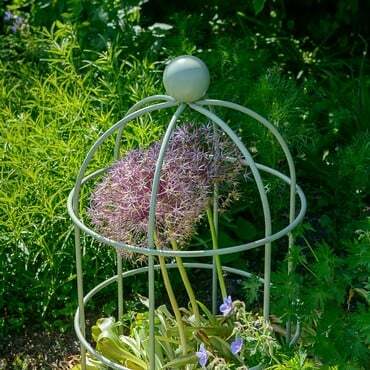 Tuesday morning is always an anxious time around Chelsea with everyone wondering what award their garden or stand has received. 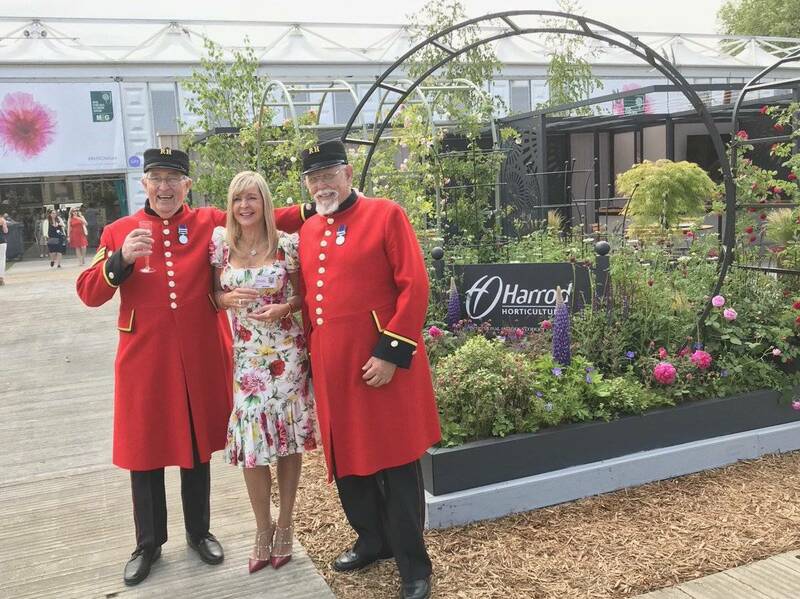 When we arrived on the stand that morning we couldn't believe we had been awarded a 5 Star Gold Tradestand Award, the highest we have ever achieved - cue the celebrations! 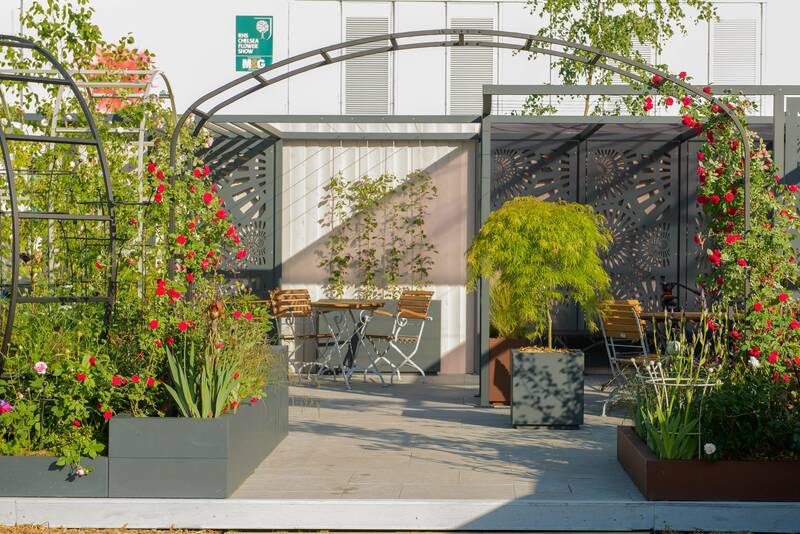 Tuesday is the first full day of the show open to RHS members only and we had a lot of interest in on the stand with many questions about the modern pergola, screens and metal planters. After a busy day discussing our products and bespoke service we had the chance to celebrate our tradestand award at our drinks reception we had arranged for Tuesday evening. We invited a number of our industry friends including architects, designers, specifiers and contractors to visit our stand for our little evening soiree. The evening was a real success with lots of interesting discussions about future projects that we look forward to being involved in over the coming months. Following a great start to the show the rest of the week continued to be a real success for us with lots of interest in the stand and our range of products on display. 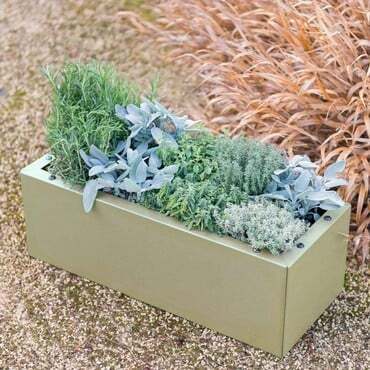 It was fantastic to see lots of our existing customers and also potential new customers throughout the week and discuss their gardening plans. There is always a lot of work that goes into the show, but once again it was well worth it. 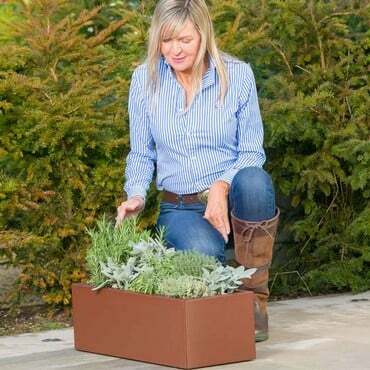 The RHS Chelsea Flower Show is always a great platform to launch new products and for customers to see our products in the flesh. 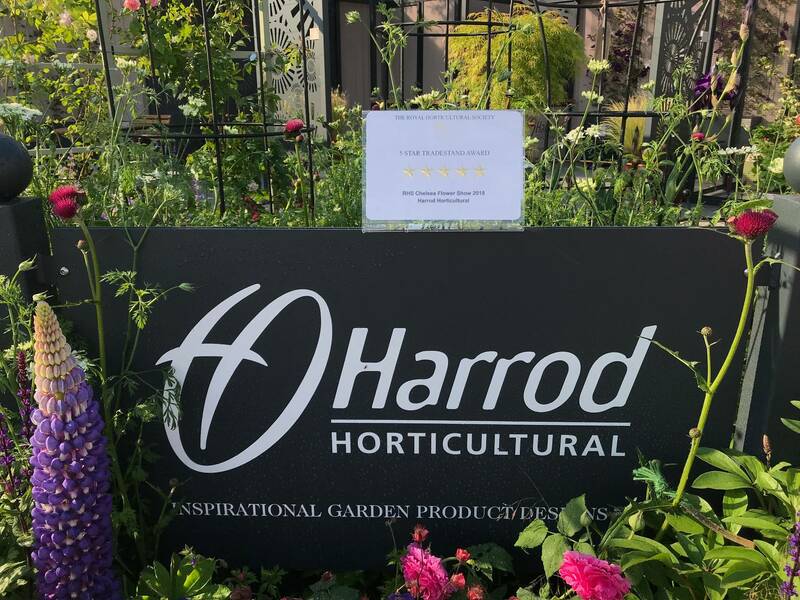 2018 will be remembered for the 5 Gold Star Tradestand Award a fantastic way to celebrate our 15th year at this prestigious flower show...roll on 2019!